This past August, I held a showing of my SINA SUIEN collection at Saimyo-ji, a Zen temple in Niigata, Japan. And in the solemnness and serenity of the temple so distant from our day-to-day lives, my garments designed with kesa, or the robe worn by Buddhist priests, as the motif and adorned with beautifully hand embroidered fabric were presented to the gods. I was fortunate to have sound and objet artist Mr. Yukio Fujimoto direct the show and provide the music. The music composed by recording the sounds of embroidering — the needle piercing the cloth — filled the meditation hall, the site of my show. 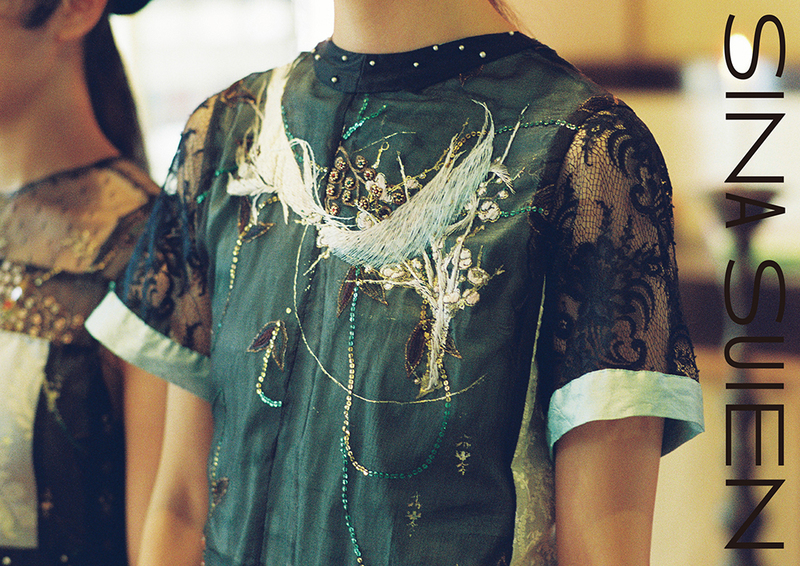 The models in SINA SUIEN outfits tangled with the music, the cloth, and moved like the needle, pulling the thread, making the stiches, creating the lines, wakening the spirits. 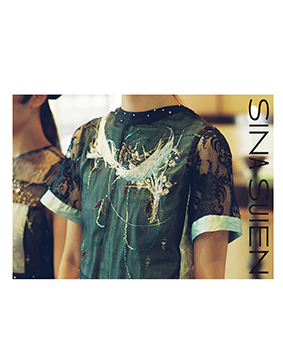 On October 19 at Amazon Fashion Week Tokyo 2017, I will be showing my “F/S needle/string/cloth” collection that I have been planning for the past several years and put so much into, and was created based on the SINA SUIEN collection, presented at Saimyo-ji Temple. You are cordially invited to come and see my “F/S needle/string/cloth” collection at Amazon Fashion Week Tokyo 2017. I look forward to seeing you there. Published on 2016-10-11 11:05 PM.